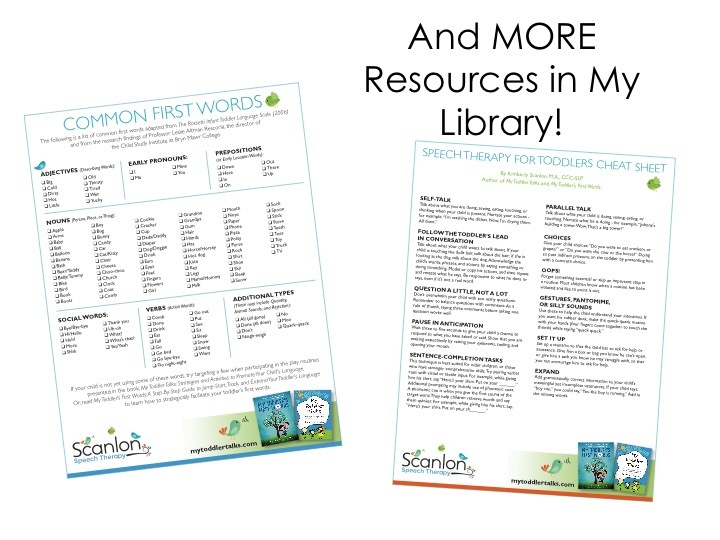 My Member’s Only Resource Library provides numerous worksheets, cheat sheets, and helpful tools to help you stimulate and track your toddler’s language. To access the library, please subscribe to my newsletter. Once you subscribe you will see a welcome email including a password to access these exclusive resources. 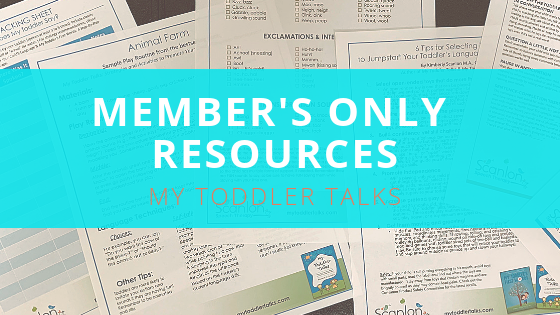 More resources will be added to compliment my upcoming book, My Toddler’s First Words: A Step-By-Step Guide to Jump-Start, Track, and Expand Your Toddler’s Language. My new book is due out in May. How Many Words Does My Toddler Say? & Cheat Sheet of Strategies!